These days, travel is stressful for us all. Long security lines, 3 oz liquid rules, take your shoes off, no snacks, less flights…it’s enough to send any person into a little bit of a tizzy. But even with that, most people can still plan a spontaneous trip or decide to travel across the world at the drop of a hat with very little thought or worry. When you have a disability though, you’re not always afforded that luxury. When you have to worry about trying to get your luggage into the overhead bin if you’re traveling alone (Note: airline staff can’t help you and if you look “normal” people will give you dirty looks or not offer to help you get it up there). When you ask to pre-board because you take longer getting on the plane and the lady behind the counter clearly doesn’t believe you. When you have to think about how much you might be walking once you get where you’re going. When you have to worry if you’re staying at a place that has stairs and no elevator. When you’re traveling with a group and you’re afraid your limitations will somehow take away from the experience of their trip. When you have a connection and your first flight gets delayed and you’re unable to run to the gate and can potentially miss the flight on the next leg of your trip. Let’s not even get into what might happen if the plane has to make an emergency landing. These are just a few of the concerns people with disabilities have when traveling. So while yes, I can still be spontaneous to an extent…I still have to plan, whether I like it or not. I just can’t go with the flow and see what happens because there’s just some things I can’t physically do and if I’m going to risk falling or hurting myself, I have to try to avoid that at all costs. I’m more than aware that my situation could be much worse. I’m still able to go up three flights of stairs. Will I be tired and potentially fall later on because I’m weak? Yes. I’m able to drag my luggage around. I’m able to go to places even if though don’t have an elevator even though it’s not ideal. I can travel on my own. But I’ll be honest that sometimes it’s just plain overwhelming how much harder even the simplest things can be for me. My disability has made me who I am and for that I am immensely grateful but it also seeps into every facet of my life. Dating, relationships, working, traveling, parking…all of these things are more difficult because of something I was born with and I’m not always able to take that in stride. Some days I want to be able to just go up a flight of stairs. I want to be able to just get on a plane, throw my suitcase into the bin over my head and walk for miles and go on hikes. I want to be able to see the top of the cathedral at Mont Saint Michel. That’s not my reality though and as much as I may want to sometimes, I can’t change it. What I can change is my attitude about it so right now I’m working on practicing gratitude instead of attitude. This is eye opening. Thanks for sharing, Jackie. Hopefully we can all be a little more understanding with everybody. I can relate to a lot of what you’re saying. I’m physically disabled with Cerebral Palsy and I find travelling alone quite hard, In many ways, I think I’m quite lucky because I use a wheelchair and walking frame, you can see quite clearly that I can’t move as well as some people and are often very helpful. I too find it hard to be spontanious when I’m going somewhere. If I have to catch the bus I have to try and go at the times when I think there might be less people so that there’s room on board for my walking frame, and if I use the train, I have to book ramp assistance 24hrs in advance. I’ve not dared try flying alone yet, but I hope I’ll have the confidence one day. Jackie, I love your outlook on life! Thank you for bringing so much awareness to the hardships you experience with traveling because it makes me realize how fast I tend to perceive someone as able just by appearances without ever considering what is going on beneath the skin. I’m reminded of the incident where a war veteran was refused service for bringing in his service dog that helps ease his PTSD symptoms. Nowadays, it seems our culture is very insensitive to disabilities. When we do not see a visual wound, we just assume the individual is okay. I’m very encouraged by your words and your optimism. I was just wondering, what are some things that help ease the activity of traveling with your disability? Hi Kelly! Thanks so much for the comment. I’m so glad my blog could shed some light. I’ve realized over the years that I am an obsessive planner (and not just when I travel) largely due to my disability. 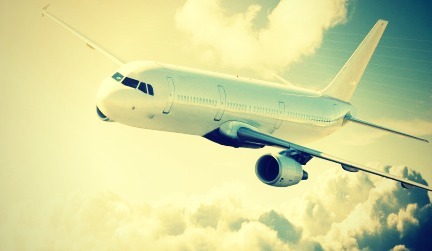 A lot of the stress I experience when it comes to traveling is centered around flying. I’ve had bad experiences when I carry on my luggage with people not wanting to be helpful or being judgmental when I ask for help lifting my bag into the overhead bin (since I can barely lift it off of the ground) so now whenever I fly, I check my bag…even if I have to pay. I’m able to get my bag off the carousel pretty easily. But even things like planning my flights if I have a layover to ensure I have enough time to get from one gate to another really helps alleviate the stress. I can’t really sit in middle seats either because it’s too hard for me to lift myself up with someone on either side of me and it would be too physically wearing if I had to keep getting up for the person next to me. I always get to the airport with plenty of time to spare since I can’t run to the terminal. Making sure the hotels I stay at have elevators whenever possible. If it’s a trip where I have a friend or someone with me that’s a huge help because I already have a built in support system. I did a tour with my job that went to a good chunk of the US last summer so in that kind of situation, just making people aware and making friends and not being afraid to ask for help is a great aid. Even with all of the planning and everything though, travel is unfortunately one of the most stressful things for me. I often have trouble sleeping the night before a trip because there’s still always that element of the unknown with travel which is a great part of it but also is very scary for someone with a disability. But I’m trying to just take it one day at a time and be flexible with whatever challenges might come up along the way whenever I go anywhere. Ultimately, there’s no better feeling than coming back from a trip knowing I got through it and had a great time!